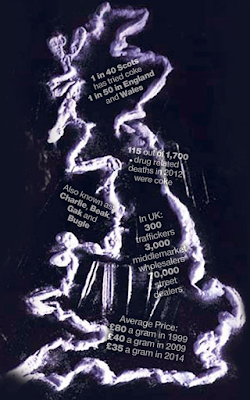 About 875,000 people used cocaine in England and Wales last year, a 15 per cent year-on-year hike. Cocaine deaths increased for the sixth consecutive year. Deaths from cocaine have increased 16 per cent from 2016 alone. Deaths from fentanyl continued to rise in 2017. Cocaine prices are at their lowest levels in more than 25 years and young people are finding it easily accessible. 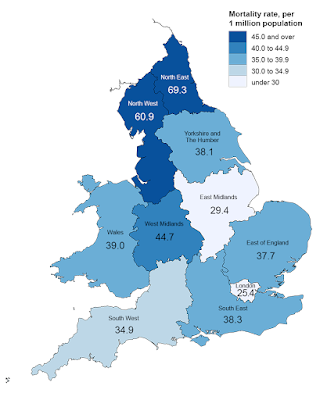 A recent survey found that 8.4 per cent of 16 to 24 year-olds had used Class A drugs in the last year, compared to seven per cent in 2016/17. 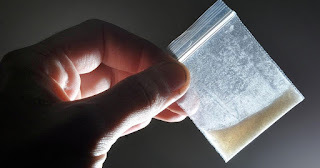 Figures from the UN's 2018 World Drug Report show that in 2016 the street price of a gram of cocaine in the UK was $54 (£41), the cheapest at any point since 1990. It is said the price is now as little as £30 for a gram. Cocaine is cheap, plentiful and easy to get, much like ordering pizza. Meanwhile purity has increased, making it more dangerous.